We share one planet. Bioremediation techniques can restore contaminated environments and reclaim them for farmland, wildlife habitats and the earth’s increasing population. Choose a career where you can make an impact. Working within industries to reduce and clean up waste. Conducting environmental investigations and enforcement for government agencies. Monitoring water and wastewater treatment and safe drinking water for municipalities. Providing technical support to consulting engineers, urban and rural planners and environmental consultants. 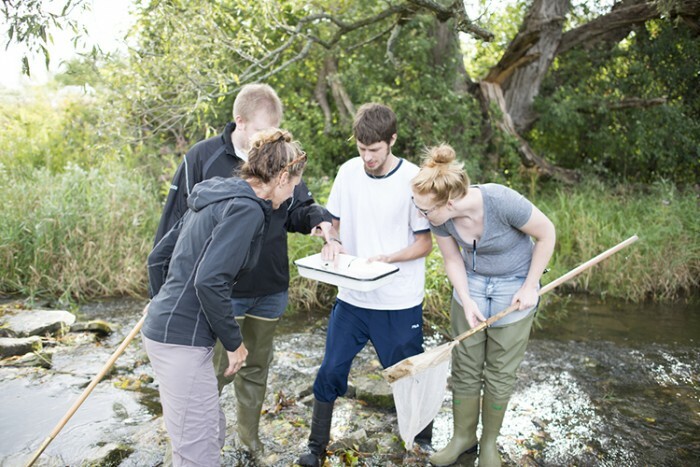 Students acquire skills in assessment of freshwater bodies using Ontario stream assessment protocols (OSAP and OBBN). Grads are prepared for certification in the Ministry of the Environment’s entry-level course for drinking water operators. 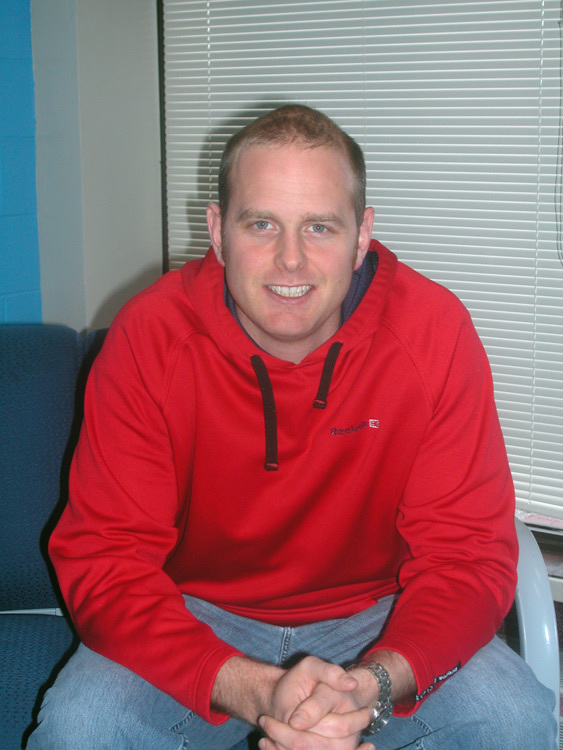 Environmental Technician, Atomic Energy of Canada Ltd.
Environmental Technologist, The Greer Galloway Group Inc.
Are passionate about the environment. Have strong skills in math and science. 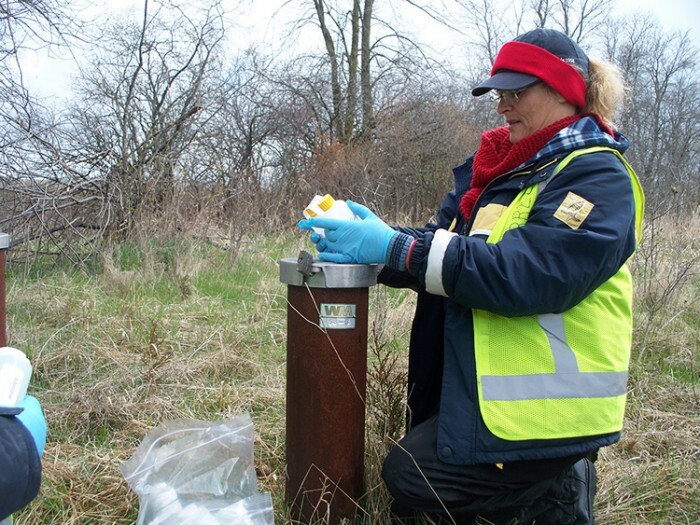 Sample natural environments and analyze environmental contaminants. 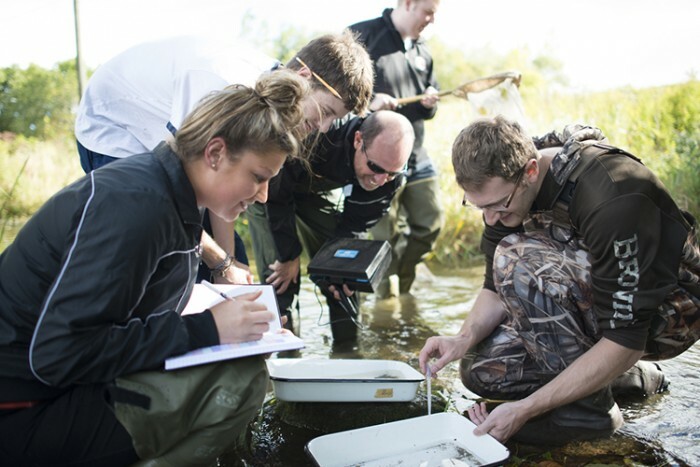 Get hands-on experience in leading-edge environmental facilities, including well-equipped Field Biology and Instrumentation labs. Understand the underlying social systems that contribute to pollutants in water, soil and air. Learn to apply current legislation under the Environmental Protection Act. Applied project learning and field placements in the second and third years provide practical experience, preparing you for a smooth transition to the workforce with a wide range of skills. Learn with active, involved instructors who are committed to students’ success. 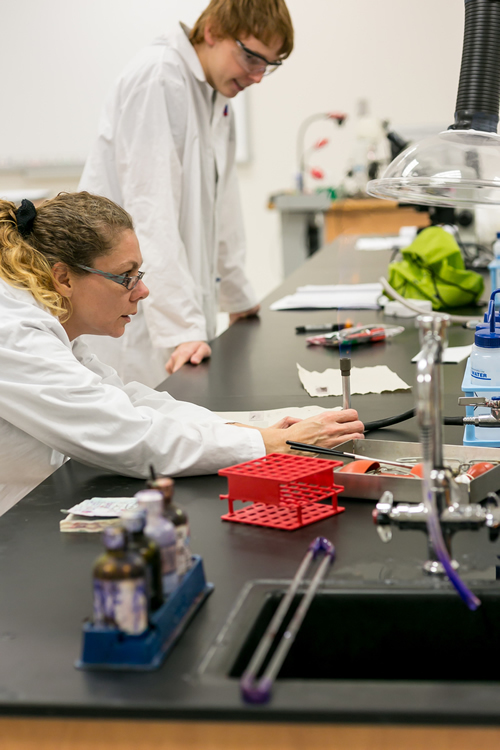 The teaching labs were set up by a program coordinator who brings 15 years of experience as a research geneticist working in three different countries. This is an introductory course focusing on the topics of cell structure and function, the flow of energy in cells, and the exchange of information in and between cells. 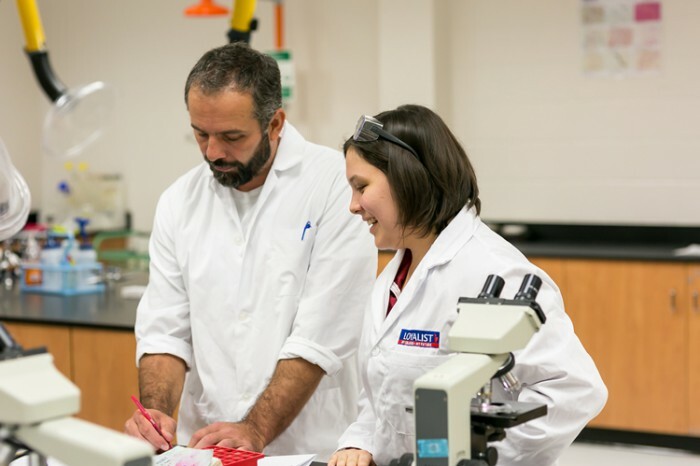 Basic biological laboratory exercises augment theoretical material. This course introduces students to essential language skills to communicate clearly, concisely and correctly in written, spoken and visual form that fulfills the purpose and meets the needs of the audiences. Students reframe information, ideas and concepts using narrative, visual and symbolic representations, which demonstrate understanding. This course is designed to: 1) raise awareness and interest regarding the place of science in everyday life, by exploring current local and global topics affecting life on Earth, and science's place in bringing these issues to our awareness; 2) develop sound critical thinking skills through exposure to the scientific method and experimental design; 3) apply transferable skills fundamental to scientific research and communication, and 4) learn of career opportunities in science through exposure to careers of current biosciences professors and local industry leaders. The first of two, this introductory chemistry course examines atomic structure, the names of the elements and their symbols, the IUPAC and common systems of nomenclature for inorganic compounds and ions, molecular weight, mole and solution concentration calculations, chemical reactions and equations. Laboratory exercises supplement the course material to provide students with practical knowledge of general lab safety and standard laboratory procedures. Students learn about the engineering and scientific applications involving the following areas: the SI system for dealing with exact and approximate numbers, exponents, solving equations, determinants and linear equations, curve sketching, graphing and trigonometry. This course focuses on understanding climate and climate change, investigating the implications of climate change, the societal and environmental impacts of a changing climate, and geoengineering solutions. Students learn about sustainability as it relates to conserving water resources, food supply, and energy production. This course provides practical exercises to support Applied Chemistry 2 theory. This course is designed as a continuation of introductory Organic Chemistry. Students learn nomenclature, structure, and physical and chemical properties of major groups of organic compounds, and differentiate among types of chemical reactions involving organic compounds. 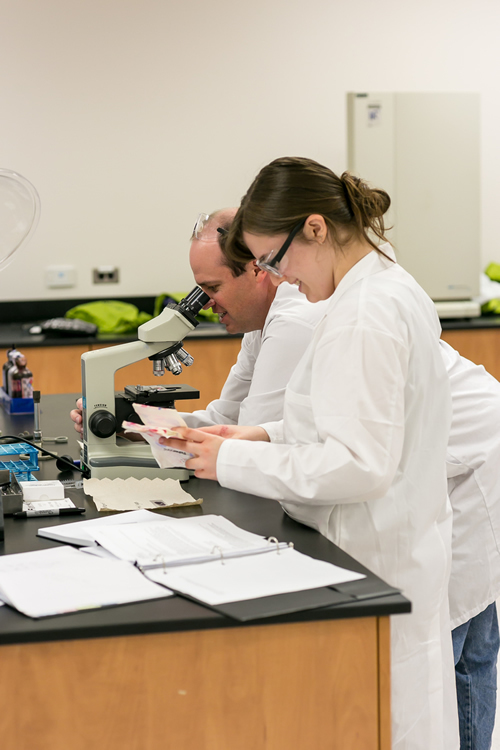 Emphasis is placed on the practical applications of organic chemistry to the biosciences and engineering. 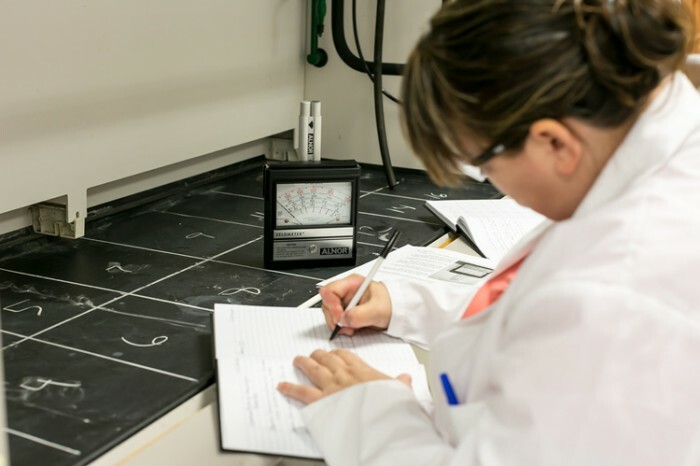 Lab exercises complement the theoretical components of the course. This applied biology course provides an introduction to microbiological theory, specifically addressing the fundamentals of microbiology, bacterial morphology, growth, nutrition and control. The principal divisions of the field are discussed, and their economic or medical applications. This course is designed as an introduction to organic chemistry, with a focus on i) molecular structure of the major classes of organic molecules, ii) IUPAC nomenclature, iii) physical and chemical properties, and iv) key chemical reactions. Learners will develop a foundation for understanding the interactions between organic compounds, and both biological and ecological systems. Throughout, emphasis will be placed on the practical applications of organic chemistry to such environmental disciplines as water treatment and toxicology. This course focuses on engineering and scientific applications involving properties of exponents, logarithms and special graphing techniques. Microsoft Excel will be used. The relationship between structure and function is a fundamental principle of biology. This course in organismal biology emphasizes principles of anatomy and physiology of plants and animals within the context of problems that organisms must solve, including sensory perception and response to the environment, acquisition of oxygen and nutrients, excretion of wastes, movement, and reproduction. This course provides an introduction to some of the basic techniques and calculations associated with quantitative chemical analysis. Laboratory work supplements the theory and serves to introduce Beer's Law and the concept of standardizing solutions. This course focuses on measures of central tendency, measures of variation, frequency distributions, linear regression and the normal distribution. Microsoft Excel is used to generate statistical reports and graphs. Field Biology provides and introduction to the theory of sampling procedures with practical experience in obtaining samples of both plant and animal, terrestrial and aquatic communities. Identification skills are stressed and elementary data processing introduced. Hydrometric procedures including streamflow measurements, river-stage measurements, rating curves and weirs are discussed and observed. Basic meteorology is also introduced. The student is introduced to the various Geomatics products, services and methodologies available to assist environmentalists in researching, delineating and mediating environmental issues: topographic surveying and mapping; topographic survey plans creation using AutoCAD; terrain representation & contour interpretation; Global Positioning Systems (GPS); aerial photography; LiDAR (Light Ranging & Detection); satellite imagery. 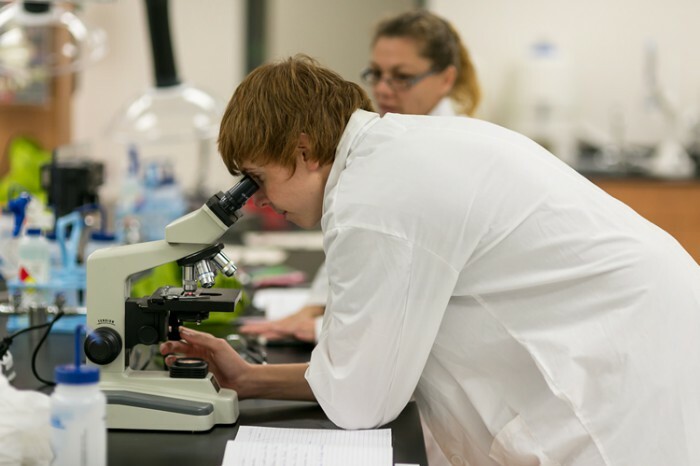 This applied biology course provides an introduction to microbiological theory and skills: specifically addressing microscopy, staining methods, cultivation of microorganisms, control of microbial growth, enumeration, water sanitary analysis and industrial application. Laboratory exercises in this course emphasize chromatography (gas (GC), liquid (HPLC) and ion (IC), specific ion electrode (conductivity and fluoride), spectroscopy (in the ultraviolet (UV) and visible regions, and Flame and Furnace Atomic Absorption (AA). Sample preparation such as digestion, particle size analysis and standard addition are performed. This course surveys Canadian environmental protection legislation addressing air quality, water quality, waste management, site decommissioning, noise, vibration, PCBs and asbestos. Legislation enforcement, environmental fate, audits, risk assessment and emergency planning are introduced, and ISO standards are discussed. 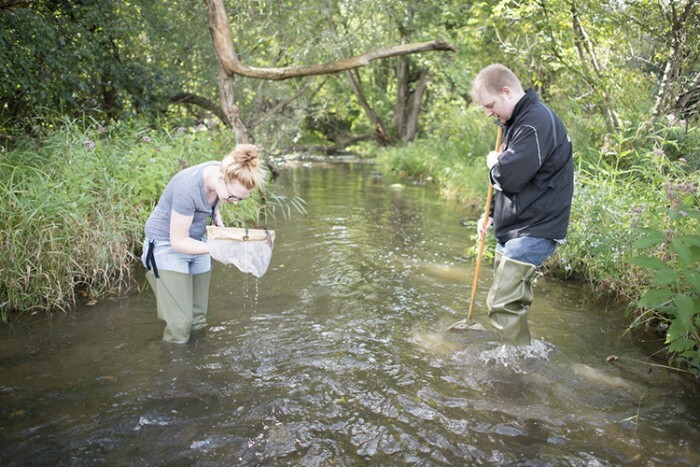 Students study the biology and chemistry of fresh waters. Laboratory work supplements the theory. This course deals with the geological occurrence of groundwater, principles of aquifers and the theory of groundwater movement. This course is a one-week placement in the field. This course covers basic waste management theory and practice. Although there are many kinds of waste, this course aims broadly to address topics like the current waste crisis; source, composition and properties of waste; planning processes and waste management hierarchy; techniques and practices for the treatment and disposal of waste; and site remediation and/or restoration resulting from inappropriate waste handling. Through lectures, demonstrations, tours and labs, the student acquire knowledge of the processes and operations involved in the treatment of water for drinking and the treatment of sewage. If successful, students obtain the MOE Entry Level Drinking Water Operator Certification. Air sampling is used to test for the concentration of airborne contaminants in the workplace and the environment. Air sampling often involves a two-step process: (a) capturing the air borne contaminant on a collecting medium and (b) a laboratory analysis of the sample to determine the quantity and type of contaminant. In order to evaluate airborne contaminants it is important to have a basic understanding or air sampling strategies and techniques. This course introduces the basic applied principles of air sampling and monitoring techniques and will provide participants with the practical skills and theoretical knowledge to enable them to conduct reliable air monitoring surveys. Terms and techniques used in air monitoring and sampling for particulate, vapour and gaseous air pollutants are introduced. 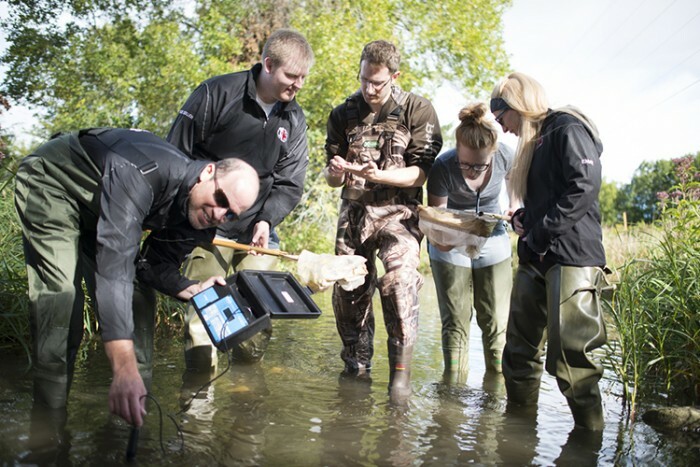 Theoretical sampling concepts are described and many different techniques practiced in a laboratory or field setting where students collect, and perform routine tests on representative environmental samples and use various information technology tools to assemble, analyze and present environmental data effectively. This is a course focuses on Inferential Statistics. Topics covered include the central limit theorem, discrete probability distributions, estimation (confidence intervals), chi-square distribution, analysis of variance. Microsoft Excel will be used to generate statistical reports and graphs. Initiatives surrounding Climate Change, Renewable Energy and Sustainability, Biofuels and Bioproducts represent a selection of topics addressed in this course which challenges and investigates alternatives to our current systems. Students are introduced to the design, creation, maintenance, analysis and dissemination of geographically referenced environmental business information using an object-relational database and Geographic Information Systems. Resource Management provides an introduction to the theory of managing physical and biological natural resources. Planning for sustainability with regard to ecosystems, food resources, biodiversity, mineral resources, water/land/air use, human populations and energy will be addressed. This course is an introduction to the study of the harmful interactions between chemicals and biological systems. Living things are exposed to a variety of toxic substances, ranging from metals and inorganic molecules to large complex organic molecules. Toxicology applies concepts of basic biochemistry, chemistry, pathology and physiology, along with experimental observation and analysis. Topics covered in this course include basic principles of toxicology, interaction of pollutants with natural systems, biological response to toxicants, ecotoxicology of pollutants, bioassay/biomonitoring techniques and exotoxicological decision making. Where possible, examples will be drawn from Ontario and the Great Lakes basin. 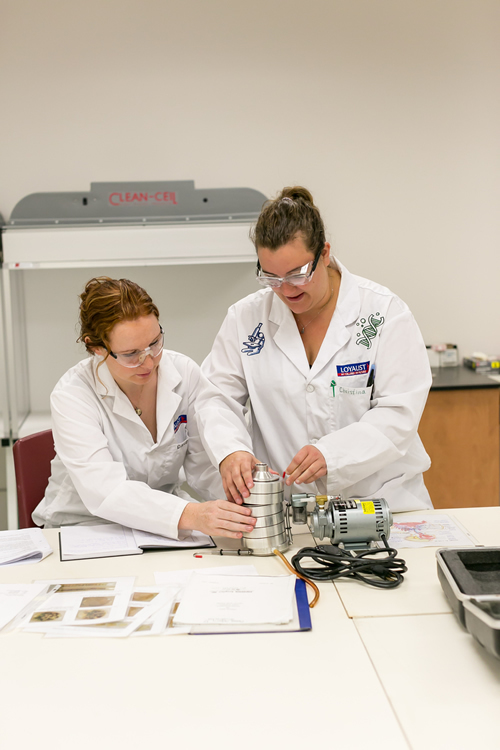 Students in the third year of the Loyalist College Chemical Engineering and Environmental Technology programs will undertake semester-long, project-based learning with industry or community partners to participate in the development and execution of an applied project. The objective of the collaborative applied project is to have students, as team members in a workplace setting, apply and integrate the skill sets and knowledge that form the core of their training in these programs. In this way, students will augment their academic training with valuable work experience and have an opportunity to experience alternative methods of evaluation and measures of success that are less typical of academic environments. This course introduces the basic principles of environmental planning in Ontario and Canada including: The Environmental Bill of Rights; The Canadian Environmental Assessment Act; The Ontario Environmental Assessment and Consultation Act; CSA Standard Environmental Site Assessments; Cleanup criteria for contaminated lands; Guidelines for Evaluating Environmental Liabilities for Land Transfers; Brownfield's and Urban Sprawl. • Chemistry and Physics at the (C), (U) or general level. • Applicants with a related degree or diploma may be considered for advanced standing or direct entry into second year.